Emperor Chūkyō (仲恭天皇, Chūkyō-tennō) (October 30, 1218 – June 18, 1234) was the 85th emperor of Japan, according to the traditional order of succession. His reign spanned only months in 1221, and he was not officially listed amongst the emperors until 1870 because of doubts caused by the length of his reign. The Imperial Household Agency recognizes Kujō no misasagi (九條陵) near Tōfuku-ji in Fushimi-ku, Kyoto as his tomb. Before his ascension to the Chrysanthemum Throne, his personal name (his imina) was Kanenari-shinnō (懐成親王). He was the first son of Emperor Juntoku. His mother was Ritsuko (?) (立子), daughter of Kujō Yoshitsune (九条良経). Chūkyō was enthroned at the age of two following the deposition of his father, the Emperor Juntoku in preparation for the Jōkyū Incident, an unsuccessful attempt by Juntoku's father, the Retired Emperor Go-Toba, to overthrow the Kamakura Bakufu. 1221 (Jōkyū 3, 20th day of the 4th month): In the 11th year of Juntoku-tennō 's reign (順徳天皇十一年), the emperor abdicated; and the succession (‘‘senso’’) was received by eldest son who was only 4 years old. 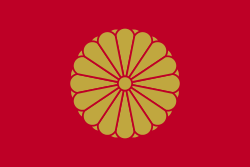 Shortly thereafter, Emperor Chūkyō is said to have acceded to the throne (‘‘sokui’’). That same year, after the Jōkyū Incident, he was dethroned and replaced by his first cousin once removed Emperor Go-Horikawa, the nephew of Emperor Go-Toba. Because of his dethronement just 2 months after the Jōkyū Incident, his enthronement was not recognized. He was known as the Kujō Dethroned Emperor (Kujō Haitei, 九条廃帝), the Half-Emperor (半帝), and the Later Dethroned Emperor (Go-Haitei, 後廃帝, a reference to Emperor Junnin who was often called Haitei, 廃帝). In 1870, he was recognized as an Emperor and given the posthumous name of Emperor Chūkyō. 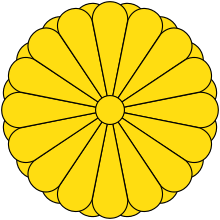 The year of Chūkyō's reign is more specifically encompassed within a single era name or nengō. ↑ Titsingh, Isaac. (1834). Annales des empereurs du Japon, pp. 236–237; Brown, Delmer et al. (1979). Gukanshō, pp. 343–344; Varley, H. Paul. (1980). Jinnō Shōtōki. pp. 223–226. ↑ Titsingh, p. 148; Brown, p. 343; Varley, p. 223. ↑ Titsingh, p. 236; Brown, p.343; Varley, p. 44; n.b., a distinct act of senso is unrecognized prior to Emperor Tenji; and all sovereigns except Jitō, Yōzei, Go-Toba, and Fushimi have senso and sokui in the same year until the reign of Emperor Go-Murakami. ↑ Brown, p. 343-344 n.104. 1 2 Brown, p. 344. ↑ Titsingh, p. 236; Brown, p. 343-344.